The Steinway—once called the "instrument of the immortals"—is more than the preeminent American piano. It is also a symbol of Old World craftsmanship combined with American capitalism, of technological innovation, and of remarkable family management. 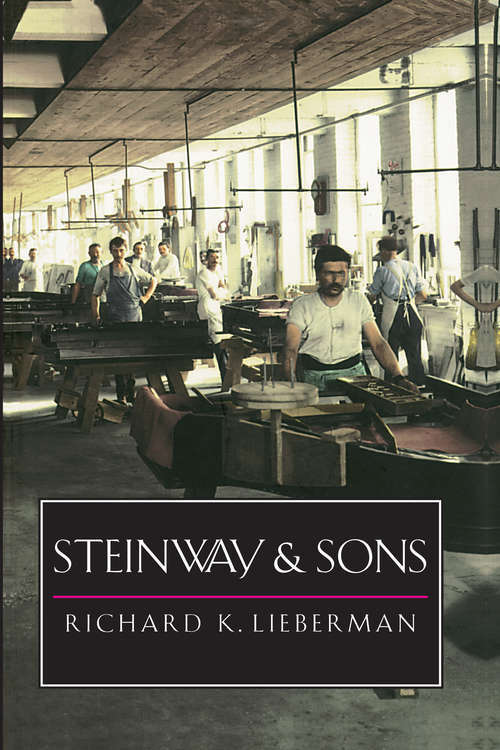 This authoritative and entertaining book tells the story of the Steinway piano company and the people behind it.The first book based on the rich archive of Steinway business and family papers at LaGuardia Community College in New York, as well as on interviews with family members and company employees in the United States, Germany, and England, Steinway & Sons describes the making and marketing of an American cultural icon. Founded in New York in 1853 by a German immigrant, the Steinway company quickly rose to prominence on the strength of the distinctive "Steinway sound." For five generations Steinways steered their company in the face of vigorous domestic and foreign competition, bitter labor disputes, temperamental musicians, a fluctuating economy, and wars. Members of the Gilded Age elite, the family also contended with adultery, alcoholism, emotional depression, and long court battles over money. Lieberman discusses the company town the Steinways built in Queens in the 1870s to "escape the machinations of the anarchists and socialists" in the city; the decision to manufacture in both New York and Hamburg, which led to Steinway factories supplying both sides in World War II; the improvements in piano technology that made the Steinway the envy of other piano makers; the company's creative marketing techniques, such as booking celebrated European pianists into American concert halls; the competition from the Japanese-owned Yamaha company; and the sale of the financially troubled company to CBS in 1972. Weaving together themes from social, music, business, labor, and immigrant history, and lavishly illustrated with pictures from the Steinway archive, Steinway & Sons is a rich narrative that casts new light on American cultural history and on a unique family enterprise.